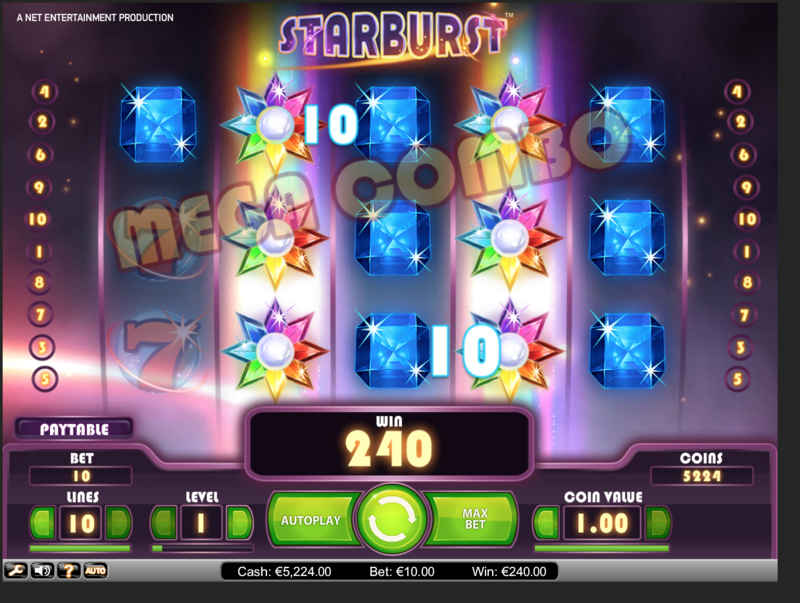 Starburst is one of the better looking slots, with simple gameplay and some nice innovation with its Wild/Bonus symbol and two-way winlines. It has a low volatility and an RTP of 96.1%. 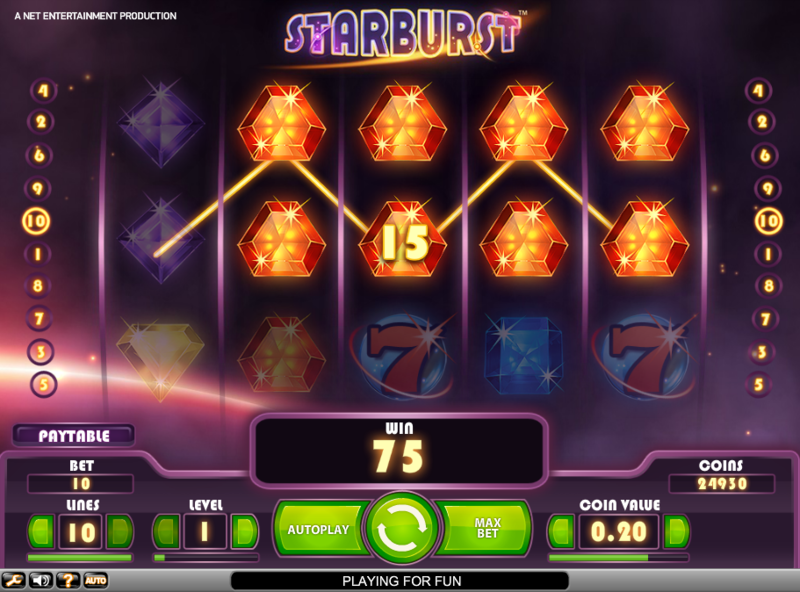 Starburst does not appear to have much in the way of story or theme. 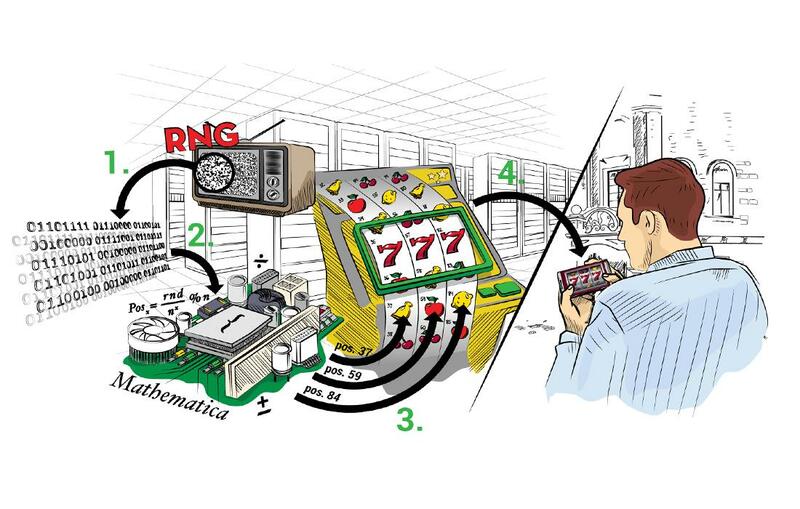 The symbols are slot machine staples: lucky sevens, bar symbols, and a selection of gems. The background suggests a night sky or outer space. It is all very bright and upbeat. The tone of the slot machine is very cheerful, the electronic soundtrack is a little drifty. The background is animated with gently drifting stars and the symbols on the reels seem to hang in a purple space-like void. The visuals are all very high def, so much that they can slow your browser a bit as if the software is struggling to keep up. 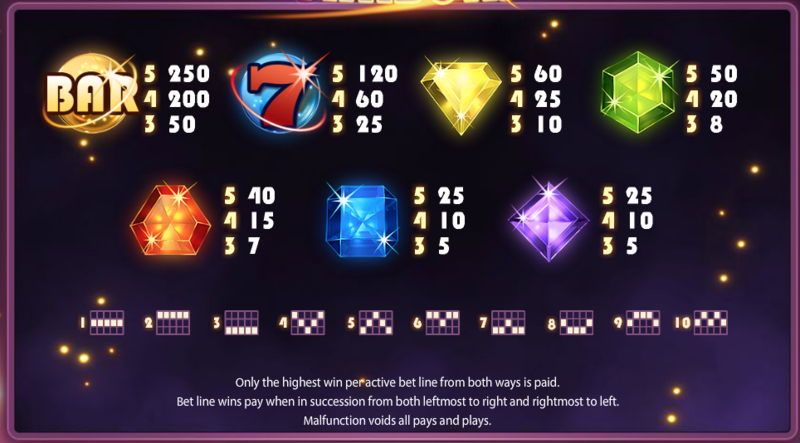 The design is full of little details, gem symbols are all animated to twinkle, and you can scroll over the winlines to make them visible. There are technically ten winlines. 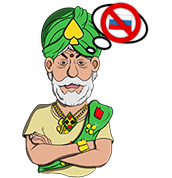 You can play as many lines from one to ten as you please, according your personal taste. It is worth noting that unlike most games the winlines read both right to left and left to right. 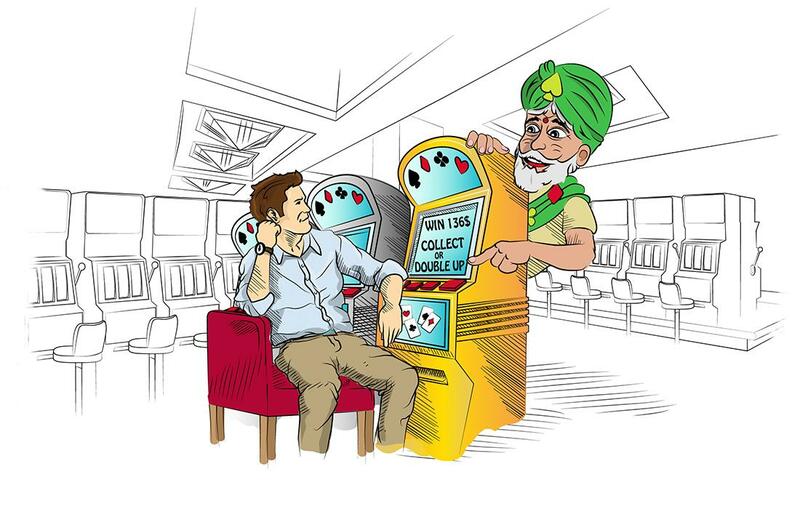 This means you can win with combos that start in either reel one or reel five. This significantly increases your chance of hitting a payout, but obviously will not affect the stated RTP of 96.1% and you can only win once per winline. The high quality graphics and interface definitely add to the experience making the gameplay more immersive, smooth and fun that it might otherwise have been. The reels are also stacked so that several symbols can fall at once, making combo wins much more likely. When the wild symbol hits on a reel, that reel is frozen and wild symbol expands to the whole reel. Once the payouts for that spin are complete, then a free spin begins with the wild reels remaining fixed. As a result you are allowed to win twice with all Wild reels. If you hit any further Wilds they trigger a further free spin with all the Wild reels still locked in place. The Wild symbols only appear on reels two, three and four and their frequency does not change during the free spin. The RTP of Starburst is 96.1% according to the design team. The both-way winlines and stacked symbols make for regular small wins, generating relatively low volatility. There is a massive range of possible bet sizes running from €/£/$0.01 to €/£/$100. The three different controls for deciding the amount per spin coin value (€/£/$ value per coin), lines (number of lines) and the additional setting of level (number of coins per line) give you a great deal of control over exactly what value you want to bet each spin. Bet controls offer wide range of bets. There is a maximum payout per spin of 50,000 coins, though obviously such large wins will be very rare. 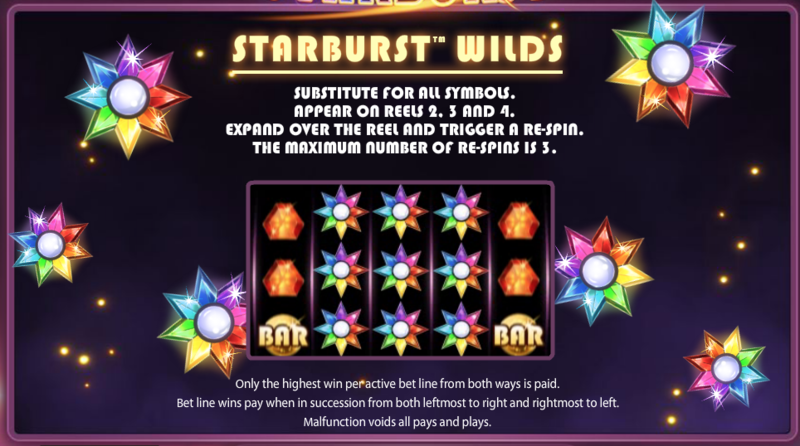 Starburst is a very attractive game to look at and it comes with some interesting variations with its frozen Wild symbol bonus and its both-way winlines. We like many aspects of this game, the simple clean gameplay design in particular. Unfortunately, the average RTP and low volatility make it more suitable for casual slot players. Our strategies work better with high volatility games.